Carrot, Collard Ginger Slaw! Something fresh, cooling and adds pizazz to give new life to the word "salad". This chinese styles carrot, collard, sesame slaw is perfect as a pairing to any main dish, but I also loved this all on its own for a light lunch or afternoon snack! This is the perfect seasonal salad to have for lunch or dinner this weekend - Paired perfectly with a balance of toasted hazelnuts, peppery arugula, delicate spinach and the pop of balsamic glazed strawberries and asparagus this is a winning dish everyone will love! 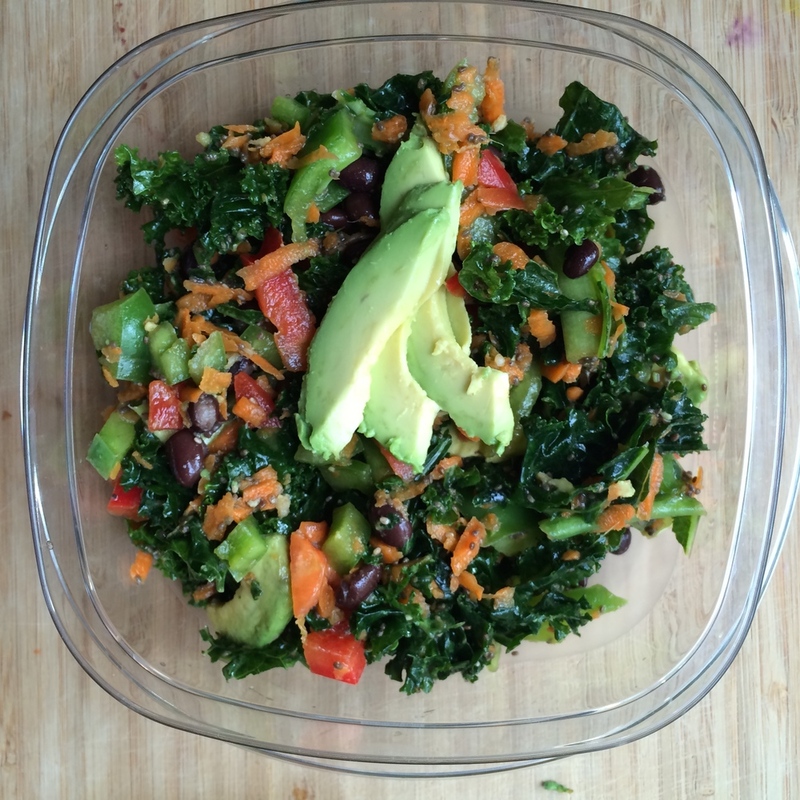 A delicious salad recipe featured in the What Juicers Eat Meal Plan to transition on or off of a Juice Cleanse or just to get you to a healthy place where you look and feel amazing! The meal plan was created and developed by me, your dietitian nutritionist, along with Angela Von Buelow, a culinary expert from Juicing Radio and What Juicers Eat. A simply delicious way to add vibrant color and nutrients like folate, iron, some protein, healthy fats and nutrients that prevent cancer and tumor cell growth. Add this healthy color and flavor to your dinner or lunch plate! I LOVE this combination of crunchy walnut pieces and naturally sweet flavors from the Bosc Pears. An easy way to bring color, crunch, and a pop of taste to your lunch/dinner plate! Pomegranates are one of the most potent sources of antioxidants helpful in scavenging harmful free radicals in the body. Pomegranates also help to open the blood vessels and have been researched to provide aphrodisiac properties (1). Dig in for this sweet, tart, and crunchy salad. WASH & PREP. Wash your kale & apple. Slice apple into very thin slices and put to the side. Tear kale leaves into small pieces and add to the dressing ingredient bowl. Remove the large stems and toss in the compost/garbage. ADD KALE & MASSAGE. With your kale pieces in the dressing bowl, scrunch your hands into the kale to massage its leaves and losses the fibrous texture. ADD SEEDS, APPLE, RAISINS. Add pomegranate, raisins/craisins, apple slices, and season with additional kosher salt and nutritional yeast.